Check it out, if you're a San Diegan or La Jollan (is that right? ), our local Whole Foods Market is having a cool wine tasting this Friday, September 9th. It's at 6:30pm and is only $5. The image below sums up the tasting quite well, and it's worth a visit if you'll be in the neighborhood. Events like this, showcasing a brand's own efforts to field new and interesting wines, are very valuable to building relationships with customers. Whole Foods has been making great strides in recent years targeting wine and craft beer drinkers. Earlier this year I tasted through a selection of Whole Foods Summer Wines, and while these wines aren't blockbusters, at their respective prices they showcase good quality and drink-ability. 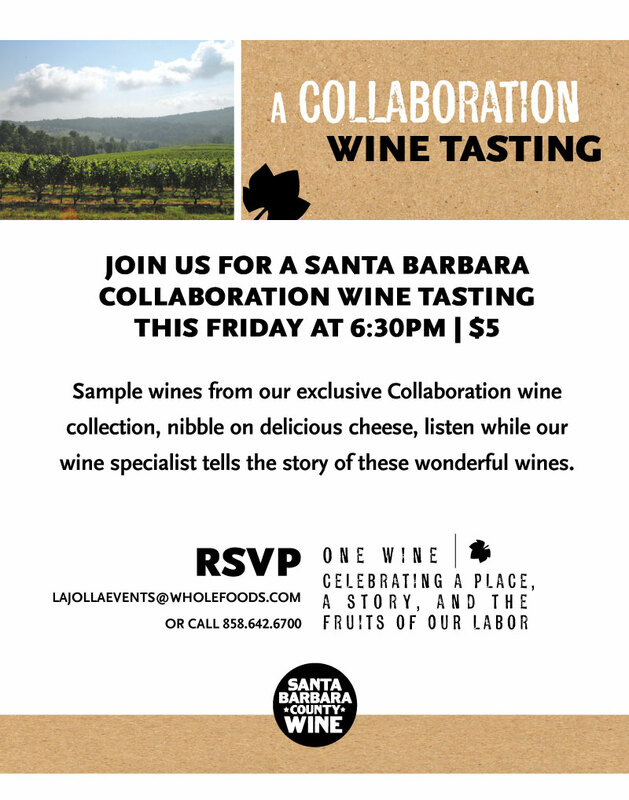 So then, this Friday night, check out Whole Foods in La Jolla for a fun, inexpensive wine tasting. Hope to see you there! !